New York in 1778 or Map of New York I. 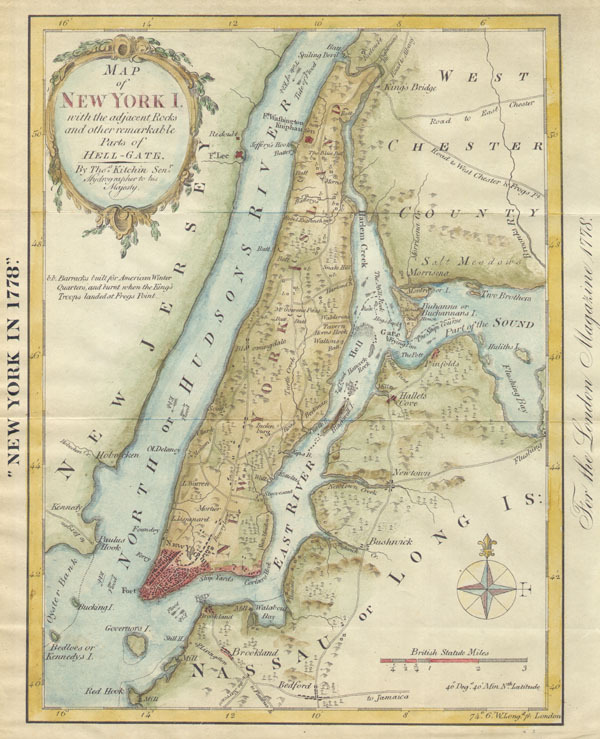 This is an unusual map of New York City in 1778, reduced and reprinted in 1869. The original map was drawn by Thomas Kitchin in his capacity as Hydrographer to His Majesty. It was originally published in The London Magazine. Features the full island of Manhattan with parts of Brooklyn, Queens, and Westchester. What is offered here is actually a c. 1869 reprint of the original, and much larger, 1778 map. Prepared for the 1869 edition of the Shannon's Manual of The Corporation Of The City of New York . Fine or perfect condition. Contemporary color. Original folds. Blank on verso.